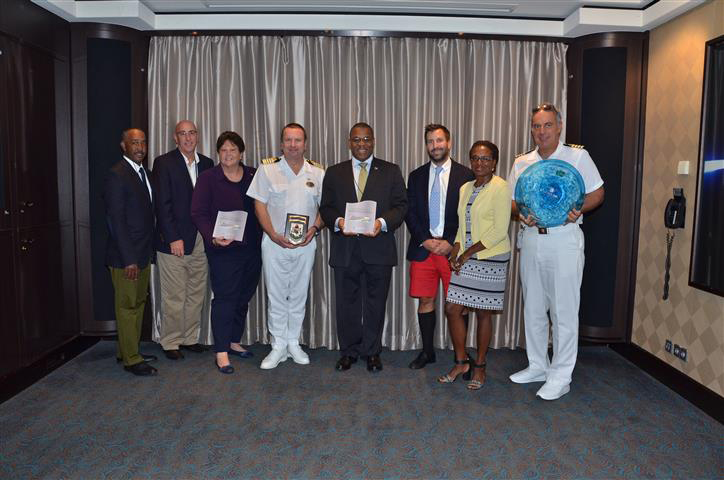 Deputy Premier and Minister of Transport and Regulatory Affairs Walter Roban yesterday escorted a small delegation onboard the M/S Norwegian Getaway to celebrate the ship’s inaugural visit to Bermuda. The Norwegian Getaway is the sister ship to the Norwegian Breakaway and is currently on a 14-day trans-Atlantic cruise which originated in Copenhagen, stopping off in Ponta Delgada [Sao Miguel] Azores. The Getaway is today headed back to her home port in Miami. Minister Roban told Captain Roger Gustavsen, “It is my great pleasure to be here with you today to commemorate the inaugural visit to Bermuda of the MS Norwegian Getaway and to welcome you, your crew and your guests to our beautiful island home, as you journey across the Atlantic. “I would also like to acknowledge the very strong partnership Bermuda has with Norwegian Cruise Lines and we look forward to welcoming the Norwegian Escape next season from New York City, which will be replacing the Norwegian Breakaway for 22 calls in 2018. The Norwegian Getaway arrived with 3,785 guests and 1,595 crew. 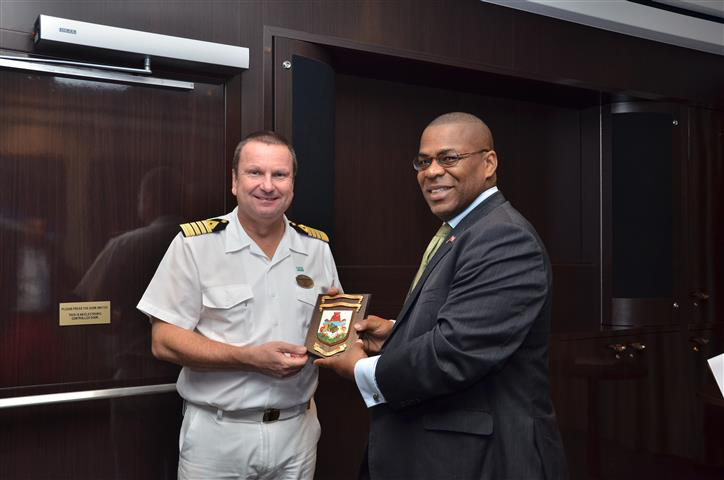 The visit was the result of the Norwegian Getaway having to reposition her schedule due to the recent challenges in the Caribbean during this hurricane season. The Norwegian Getaway was originally scheduled to call into St. Thomas and Saint Martin.